Bax's cards presented a special challenge. Normally, to create an odd shape (basically anything non-rectangular), we'd make a die and die-cut the cards. But Bax wanted edge paint — and a die-cut edge isn't crisp enough to paint cleanly. So we (very carefully) knife-cut these 600g fluorescent white hexagons with our 19th century guillotine cutter, then edged them with metallic gold paint. 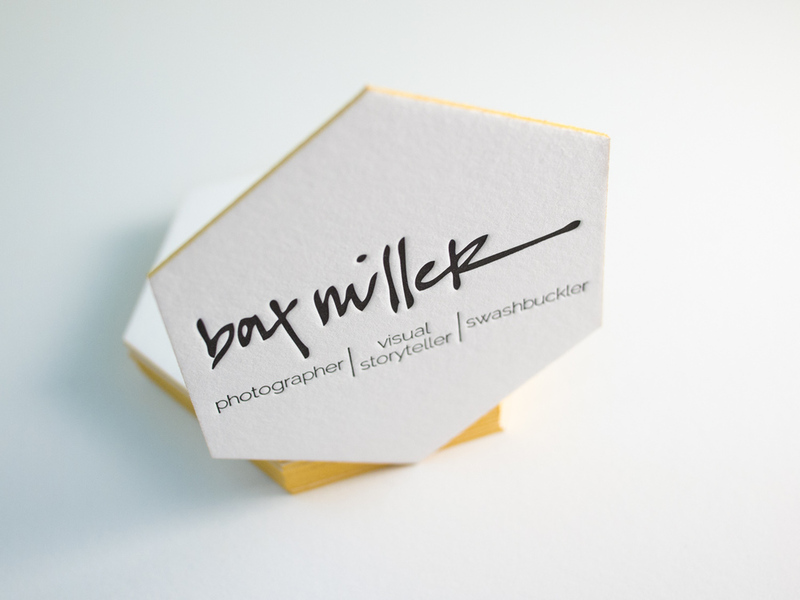 Posted in business cards and tagged with hexagon, edge painting, gold, fluorescent white, black, 600g. March 1, 2016 by Travis Friedrich.